The decision in this case provides clarity on what factors the courts will take into account when addressing whether or not a suspension without pay is reasonable in the circumstances. The recent Ontario Court of Appeal decision of Filice v. Complex Services Inc., once again addresses the issue of suspensions without pay and the appropriate notice periods in constructive dismissal claims. The Court upheld the trial judge’s finding of constructive dismissal, but reduced the employee’s common law notice award and set aside a $100,000.00 punitive damages award. The facts of this case are more interesting than most. The employee was a Security Shift Supervisor at a Casino. In order to be employed in his position, the employee was required to have a valid gaming registration. In 2007, the employer’s head of security, Mr. Paris, was advised that an Alcohol and Gaming Commission Enforcement Unit audit had found certain discrepancies in its lost and found logs corresponding to the employee’s entries. The employer performed an internal audit. OPP staff officers working for the AGCO Enforcement Unit interviewed the employee. At the conclusion of the meeting, the officers escorted the employee back to Mr. Paris’s office. The officers advised Mr. Paris that the employee was under investigation for theft in the workplace, that the investigation was ongoing, and that no charges had yet been laid. Upon receiving this information, Mr. Paris advised the employee that he was being placed on an investigative suspension, effective immediately. The employee was escorted from the premises and suspended without pay. The parties appeared to agree that there was a valid policy in place that allowed the employer to suspend an employee without pay during an investigative suspension. The AGCO suspended the employee’s gaming registration shortly after. Charges were laid against the employee but sequently withdrawn or dismissed. Despite being cleared of the charges, the employee voluntarily gave up his gaming registration. In light of this, his employer advised on May, 29, 2009, that since he no longer had a valid registration, his employment was at an end. The employee sued for constructive dismissal (among other causes of action that were dismissed) and after a seven day trial, was awarded 17 months reasonable notice for constructive dismissal and $100,000.00 in punitive damages. The employer appealed. On appeal, the Court confirmed that normally, the burden to prove constructive dismissal lies with the employee. However, where an administrative suspension is involved, the burden shifts to the employer to show that the suspension is justified. The Court found that in the circumstances, and given the regulated nature of the appellant’s operations, it was entirely reasonable for the appellant to suspend the employee pending a determination of the validity of the concerns respecting the asserted misconduct. However, the Court found that the employer had erroneously assumed the suspension without pay was an automatic right in the contract. They found the Policy did not have the express language required. The burden rested on the employer to establish that a suspension without pay was justified. If the employer could not justify a suspension without pay, then taking that step amounted to a unilateral change in the employment relationship that constituted a breach of the contract of employment. The Court concluded that based on the information available to the employer at the time it suspended the employee, it had failed to act reasonably. While there might have been a later time period when the suspension could have been justified, there was an insufficient foundation for a suspension without pay on December 19, when the employee was told he was suspended. Suspending the employee without pay on December 19, was a unilateral change to the employment relationship and breached the implied term of the employment contract that the power to suspend without pay would not be exercised unreasonably. Accordingly, the employee had been constructively dismissed. In addressing compensatory damages, the Court found the judge erred in simply treating the entire period of the investigatory suspension (17 months) as the employee’s notice period. The appropriate notice period has to be determined and damages awarded in lieu of that notice period. In this case, 17 months would have been an inordinately lengthy notice period for someone in the employee’s position with his length of service. Instead, the Court found 7 months to be reasonable notice based on the claimant’s moderate length of service, age, and position. This corresponded with the amount of time it took the employee to find a new position elsewhere. The Court made some interesting comments regarding mitigation efforts. Suffice to say, the Court confirmed there was no authority the circumstances that required that an employer has an obligation to relocate an employee to another position. This was especially true in a situation where the employee had never asked to be assigned a new position. The Court also set aside the trial judge’s punitive damages award on the basis that the trial judge did not engage in any analysis of why the compensatory award that he decided on was inadequate to achieve those objectives. In failing to do so, he committed an error in principle. The Court found, insofar as the employer was not justified in suspending the employee without pay, it will pay for that error through the award of compensatory damages. There was no further need for punitive damages. Although the employee was found to have been constructively dismissed, this decision was likely a net success for the employer. A significant portion of the notice award and the entire punitive damages award was reversed. The decision also provides further clarity on what factors the courts will take into account when addressing whether or not a suspension without pay is reasonable in the circumstances. Suspending employees, while often necessary, carries risk. As demonstrated by this decision, suspension is one of the few situations where an employer has the burden to prove it acted reasonably in a constructive dismissal scenario. Proper contractual wording and institutional policy documents are essential to allow an employer to suspend an employee. However, the legitimate business interests of the employer will be given weight when justifying a suspension when potential theft is involved. 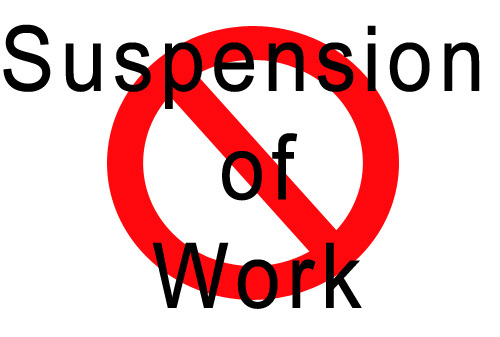 If an employer is considering suspending someone without pay best practices suggests one should document the issues, provide clear reasons for the suspension, and seek legal advice. Filice v. Complex Services Inc., 2018 ONCA 625 can be found here: http://canlii.ca/t/hsw8f.